Yeeks. Lousy word exercise. 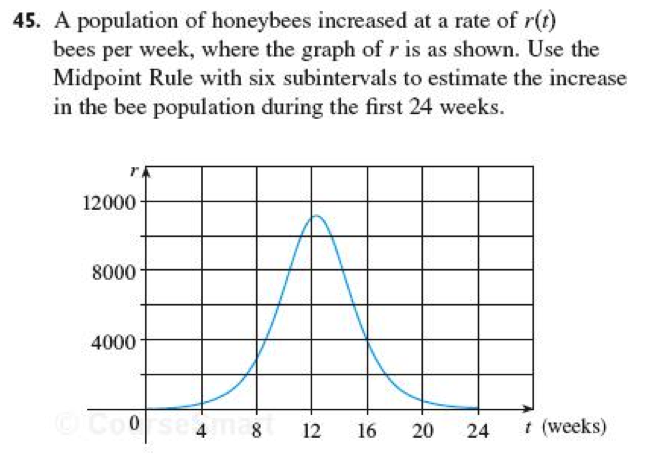 “r” is the rate of increase, expressed in bees per week, right? Nothing on that graph is data, or even pretend data. We might have calculated the rate. But then we would have started with actual bee censuses (censi? 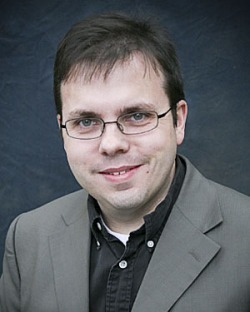 ), and only a complete idiot would integrate when the real number is available. I know it is boring to do tons of velocity vs time problems, but, you know, it gives us graphs that calc students can analyze, and , and they make sense. It’s also a strange curve. Do bees really reproduce like that? If the context is garbage, and all we want to do is assign exercises, then why not ditch the context? Yeah, there are a lot more issues with this problem than just the one(s) I am bringing up here. How does one measure the rate of growth in a bee population, anyway? Some population rates seem feasible to measure — populations of cities, populations of bacteria, populations of people attending a basketball game… but bees? When you suggest that student A might think “Is it OK to just guesstimate the area by counting boxes” you would conclude that the student at least understands area. Student B who knows how to turn the crank on the midpoint rule may not understand anything about area at all. Neither may be clear how are relates to integration, and neither may be clear how any of this relates to bees. Of course, it is pretty clear that the problem designer doesn’t know or care how it relates to bees either. A test question like this is more like a vocabulary test. Student C would fail the test even if she knew the method but had forgotten its name.